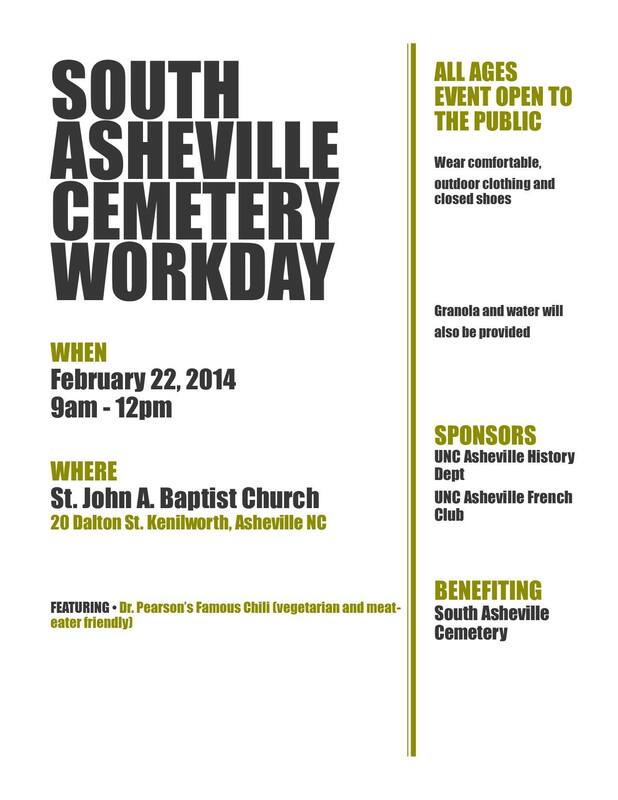 Here are flyers for two events this week related to the South Asheville Cemetery – a history presentation and a work day. 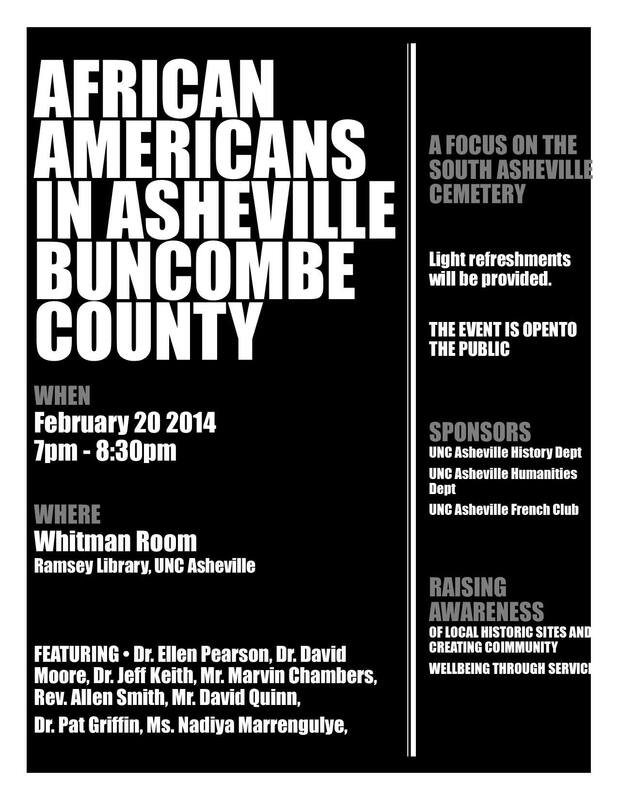 “For nearly 100 years — from the 1840s until it was closed in the mid-1940s — South Asheville Cemetery was the primary place of burial for African-Americans in the city. No one really knows how many people are buried there; estimates run from about 1,500 to as many as 5,000 graves.” (Mountain Xpress, If Stones Could Talk, 1998).